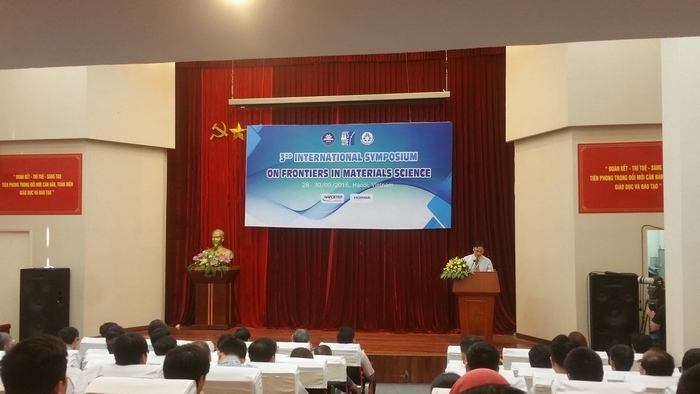 From 28/9/2016 to 30/9/2016, Faculty of Physics - Hanoi National University of Education in cooperation with Faculty of Engineering Physics and Nanotechnology - University of Engineering and Technology - Vietnam National University organized the 3rd International Symposium on Materials Science (Condensed Matter). This event was one of the key activities towards the 65th anniversary of establishment of Hanoi National University of Education and the 65th anniversary of establishment of Faculty of Physics. Presenting at the symposium were honorable guests off-campus, including Prof.Dr. Nguyen Toan Thang - General Secretary of Vietnam Physics Society; Prof.Dr. Dang Van Soa - Vice President of Hanoi Metropolitan University - Secretary of the State Council for Physics Professor Title of Vietnam; Prof.Dr. 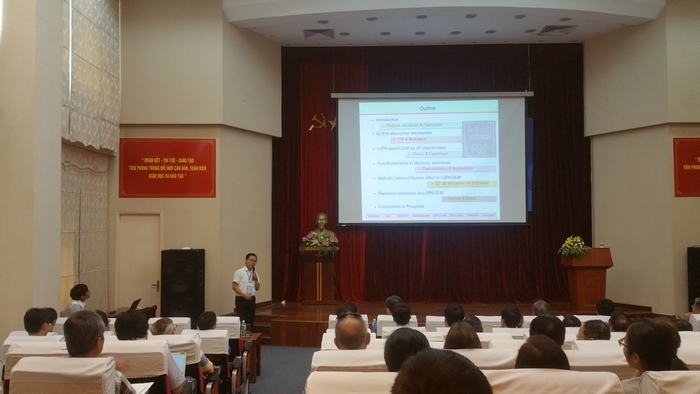 Nguyen Quang Liem - Director of Institute Materials Sciences, Vietnam Academy of Science and Technology; Assoc.Prof.Dr. Trinh Xuan Hoang - Vice Director of Institute of Physics, Vietnam Academy of Science and Technology; Assoc.Prof Hoang Anh Tuan - Director of the Center for Theoretical Physics, Institute of Physics; Dr. Ngat An Bang - Dean of Faculty of Physics, VNU University of Science, Vietnam National University; Prof. Dr. Nguyen Hoang Luong - Director of Nano and Energy Center, VNU University of Science, Vietnam National University; Prof. Dr. Bach Thanh Cong - President of the State Council for Physics Professor Title of Vietnam; Prof.Dr. Phan Ngoc Minh - Director of Graduate University of Science and Technology. Participants also included more than 150 individuals, consisting of nearly 40 foreign professors from Germany, France, Poland, Japan, Korea, Taiwan, Indonesia, China and Taiwan. 1. Structural, Thermal and Optical Properties of Solids. 2. Electrical and Magnetic Properties of Condensed Matter. The reports on those two topics were the results of recent research by scientists. After reviewing the quality, reports would be published in Physica B magazine (SCI journal, IF = 1.5) or Science Journal of Hanoi National University of Education. After Prof. Dr. Nguyen Van Minh’s welcoming speech and Assoc.Prof Luc Huy Hoang’s report on the overview of the symposium’s organization, elaborations on presentations of participating scientists were proposed. 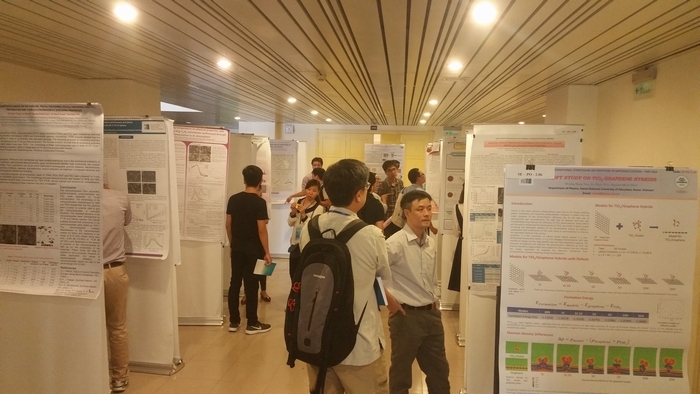 At the symposium, there were 38 oral presentations and 98 posters displayed, grabbing the attention and discussion among participants. 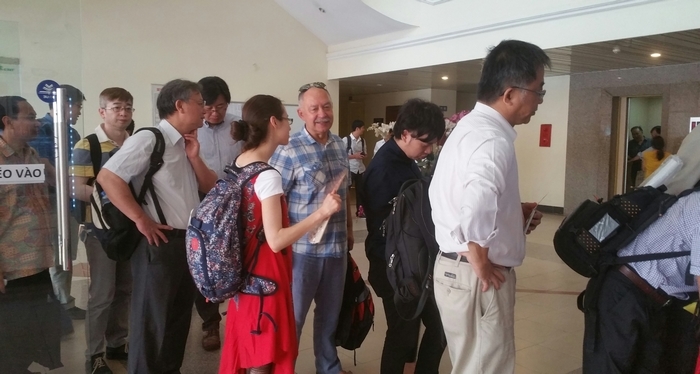 In addition, negotiations on the cooperation in science and technology between Vietnamese-Korean and Vietnamese-Taiwanese scientists have been successfully proposed, pledging to promote cooperation among scientists. 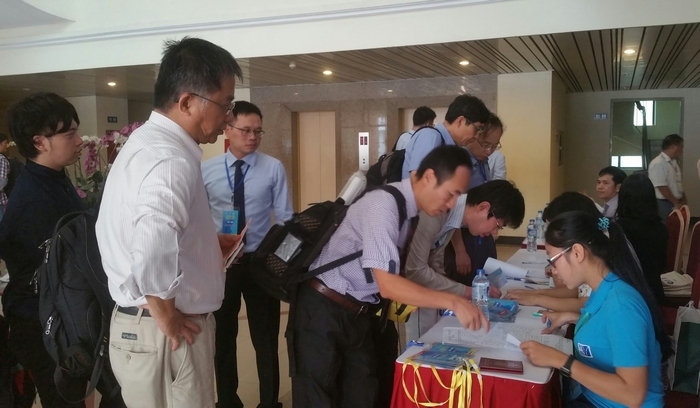 The symposium was sponsored by Hanoi National University of Education, University of Engineering and Technology - Vietnam National University, Nafosted Fund and Horiba Vietnam.